After the third-generation of Apple iPad launching a week ago, the world was hit by iPad fever again. After some time, iPad 3 experience yellowing of the screen, now the third generation iPad is reported to have been overheated. 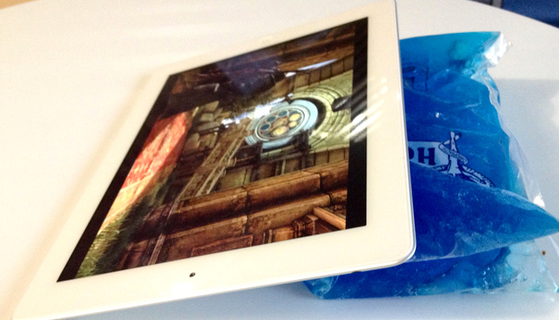 Users reported the heat generated by this iPad 3 reach 116 degrees Fahrenheit or about 46 degrees Celsius. Temperature that reaches 45 C is not a small problem. When compared with the operating temperature of the laptop, of course this is still not too hot. But remember, iPad 3 has very different operation and engine compared to laptop. iPad 3 is designed to be mobile, do you comfortable reading, browsing or watching movies with the temperature of 45 C for hours? Of course not. As reported by VR-Zone, the number of users who reported the heat problem of this new iPad after 10 or 30 minutes is growing. iPad 3 has battery with greater capacity, faster graphics but no upgraded cooling solution. So far, Apple has sold 3 million units iPad 3 in its first week, but some users reported that they would return them to Apple Care. DisplaySearch says that the source of the retina display that has a high resolution requires more LED lights and uses more power, this is maybe the reason why it has excessive heat. There has been no official response from Apple regarding this issue.